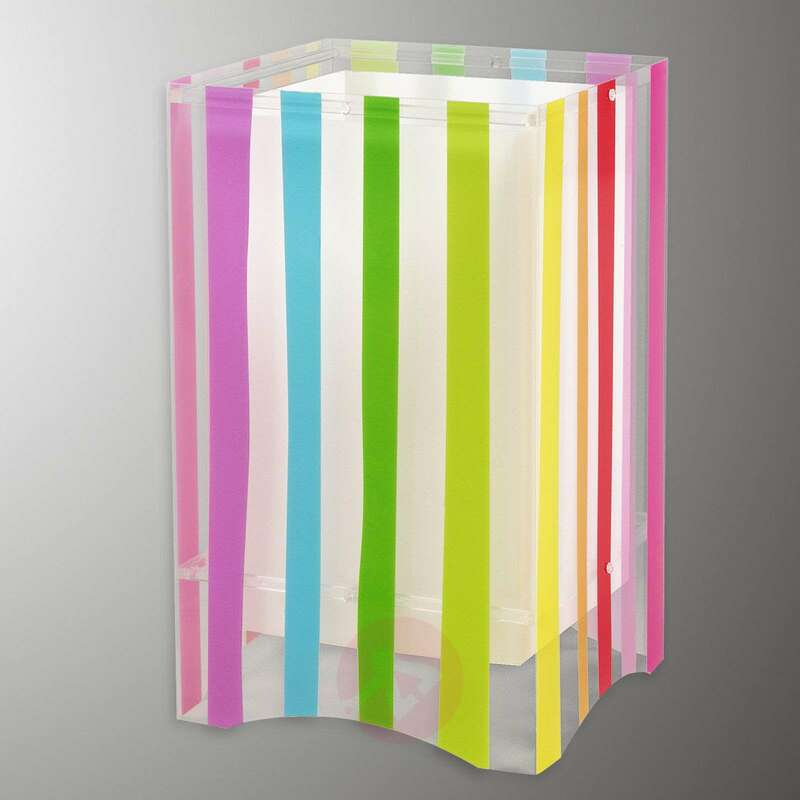 This specially designed light adds a splash of colour to the table with its popular striped look. 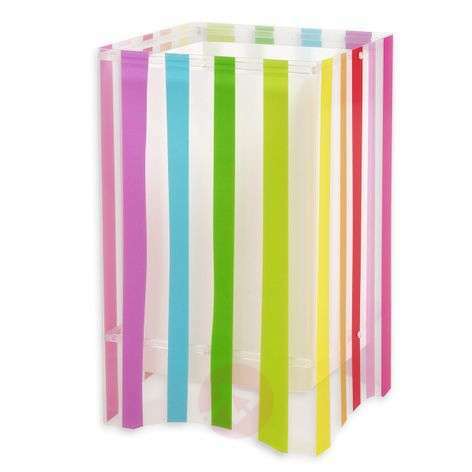 It comes without a base and the lampshade is a little different too. The lamp has an inner and outer lampshade. The inner lampshade is completely white. 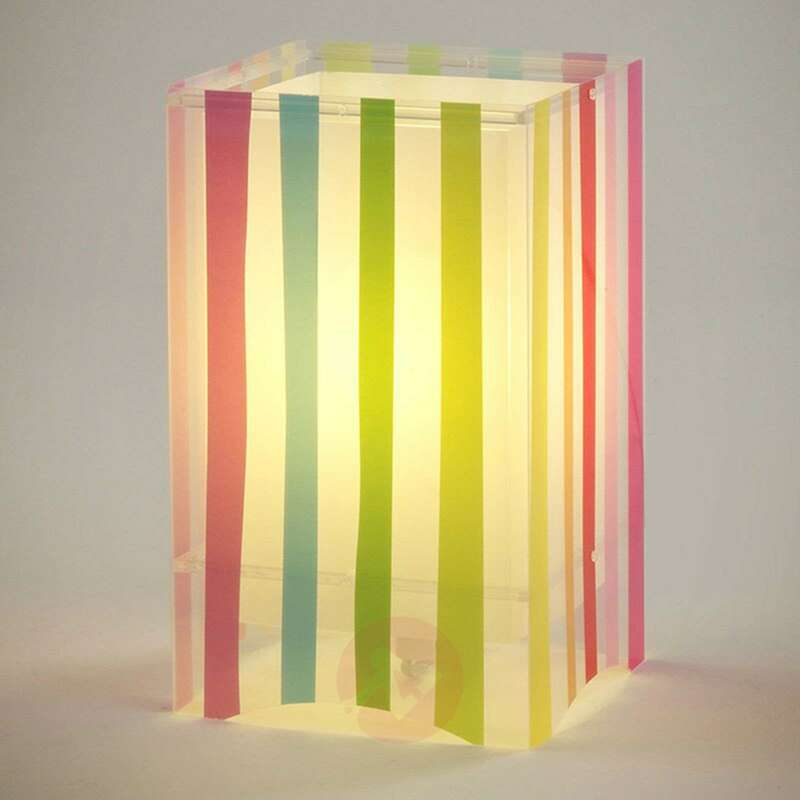 The outer lampshade is a little different: Stripes in a multitude of colours sit on a transparent background to add real atmosphere to the room in question. From magenta and violet to blue, green and yellow – there is something for everyone. You are sure to find your favourite colour represented here.